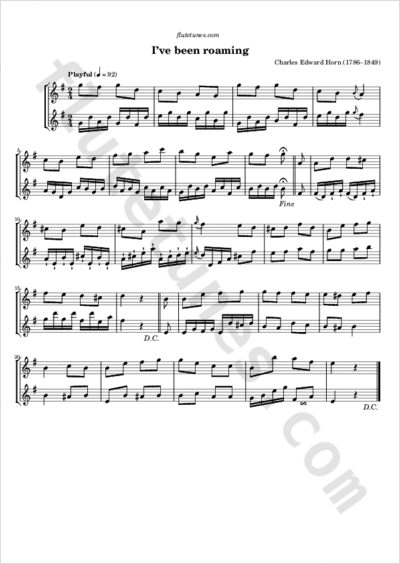 This melody in rondo form (ABACA) was originally written by London-born composer and singer Charles Edward Horn (1786–1849). The lyrics are sometimes attributed to a George Sloane, about whom, however, very little is known. One source gives 1882 as Sloane's date of birth, but that seems highly improbable given that the piece was already known as “I've been roaming” well before that date. With its pearls upon my feet.